The summer is upon us and we are excited for all the amazing summer treats. Fruits and vegetables carts are filled with delicious summer fruits and vegetables. One of our all-time favourite summer fruit is a watermelon. We have waited for it all year-round, and now that they are finally in the market we cannot wait to dig in. Now imagine, after this entire wait, you fail to get the juicy bits and have to make do with bland and unripe pieces. That's a pretty sad picture, right? Picking ripe watermelon is no cakewalk. It is much simpler to tell if your apples or guavas have gone bad, you pick them up and if they are too squishy or brownish, it is best to leave them alone. But such is not the case with watermelons, it is huge, difficult to hold and manage. So, what can you do? How can you tell that the watermelon that looks so firm and glossy on the outside, is in fact a ripened one? Read on. 1. Look at watermelon's belly. Watermelons have an underside, or the side which is facing the ground. When a patch on this side (also called the field spot) is creamy yellowish in colour, your watermelon has soaked well in the sun and is ripe. If you do not find this spot, and the whole belly is green or white, it needs more sun and time to ripe. 2. Pick up your watermelon. If it feels hollow and not dense enough, it is not ripe. Ripe watermelons tend to have more water content, and are, hence, much heavier. If you have similarly-sized watermelons around you, pick the ones that seem heavier. 3. Try to tap the water melon and hear the sound. 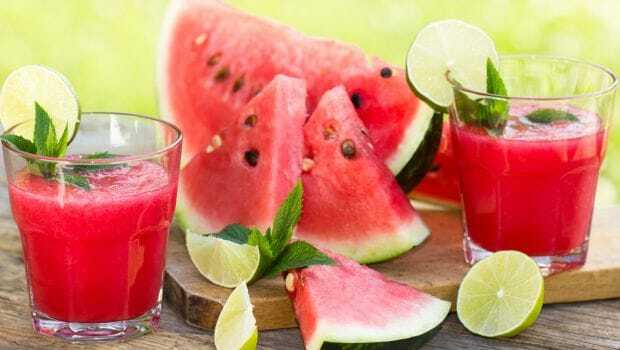 A ripe watermelon will have a deep hollow sound, an over-ripe watermelon will have a dull or a 'thud' sound as opposed to the 'pluck' sound of a ripe watermelon. 4. Try to go for symmetrical watermelons. Uniformly shaped, firm watermelons generally tend to be ripe. Ripe watermelons tend to have more water content, and are, hence, much heavier. 5. 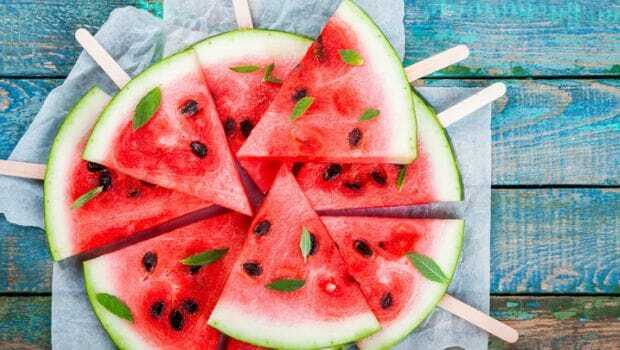 Check that your watermelon has no scars, or dark spots. Press against these spots. It should be firm. 6. Do not be disillusioned by the gloss and bright colour of your watermelon. Ripe watermelons are generally dark green in colour and slightly dull as compared to unripe ones. 7. Pick up your watermelon and sniff it; it should smell slightly sweet, say something similar to melon. If it smells raw and not so sweet, it is unripe. But make sure it does not smell overly sweet; in that case it may be overripe. It is okay, if you are not able to tell a difference between the smell, not many are pro at it. If you are unable to distinguish the smell, you can try other tests. 8. Touch the rind of the watermelon. Sure, it would not be very soft, but try to press it still. It should not be as hard as a rock. Ripe watermelon's rind softens with time. If the exterior is very tough, it needs more time out in the sun. Try these basic steps and have juicy, ripe and delicious watermelons. Here's wishing you happy summers!